The adoption home study is not just an investigation of the family, but it is an educational experience as well. During the adoption home study, the prospective adoptive parents (PAPs) will have the opportunity to meet with an adoption expert, their home study social worker, on many different occasions over the course of several weeks. During these meetings, the PAPs will learn invaluable information about adoption, the process, the children, what to expect , and more from their social worker. The education pertaining to adoption that you will receive during the home study process is reason alone to begin now! Not only will the PAPs gain valuable knowledge throughout the home study process, but you will also work closely with your home study social worker to determine the type of child that your family is most suited to adopt. While you may enter the home study process envisioning a specific age range, or gender, or level of special needs, that could very well shift as you receive adoption education or at the discretion of your home study social worker. Your home study social worker will work closely with you to determine the best fit for your family, but ultimately it is the decision of the home study social worker as to the parameters that you are approved for. The adoption home study process can take anywhere from 2-5 months to complete. It is an intense process that is much more a marathon than a sprint. The home study should not be viewed as a task to simply check off. It is to the benefit of you, your family, and your adopted child that you embrace this process in the most thorough manner as possible. The agency will take their time to interview, educate, and assess you, reading between the lines and doing all they can to thoroughly prepare you for adoption. 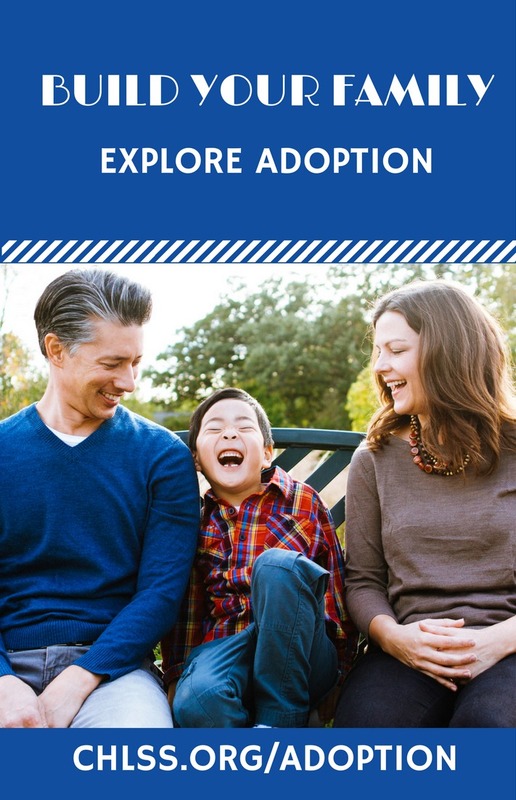 Not only does the home study process prepare you to be the best parents to your future child, but it is also what gives adoption officials a taste of who your family really is. While the interviewing, education, and investigative components of the home study should never be rushed, you have the opportunity to speed up the process by gathering the required home study paperwork as fast as possible! Remember, the sooner you start the home study, the sooner it will be complete, and you will be that much further into your adoption process! In all adoption programs, PAPs cannot be considered for a specific child until they have a current, valid home study. In order to be matched with a child, you must complete your home study. It is an opportunity to involve your whole family in the adoption process! During the home study process, you and your children will meet with the social worker. This is a great time for your children to speak to an adoption professional, and ask all of the questions they have about what is about to happen to their family. Adoption is already on your heart, but the home study process will only intensify your passion to adopt. The education and reality of millions of children who have no one to hug them, or encourage them, or tuck them in, or kiss their boo-boos, or fight for them will be heavy on your heart in ways you never thought possible. You will look at the world differently. You will look at your current children differently. You will be more knowledgeable, more open, more accepting, more empathetic. All things that will make you that much more equipped for when your child comes home. Having your home study complete will put you in the position to be matched with your child if you happen to find them in an advocacy post. Agencies work hard to advocate for waiting children. Many times, a PAP will see a picture of a waiting child and feel drawn to that particular child. Without a current, valid home study, you would not be in a position to be considered for that child. With a complete adoption home study, you will! And perhaps it was a specific child that spurred you to start the process. While you are working on your home study, that specific child could be matched with a family who has a completed home study. Though it could be difficult to ‘lose’ that child, you must remember that the ultimate goal is for every child to find a home! And if that specific child was the spark that ignited your desire to adopt, and he found a family, and your future child will find a family – that is two less orphans in the world! Your new child will not have to wait for you as long! The home study is typically the longest piece of the adoption Dossier for an international adoption. Adoption Dossiers, including the home study process, typically take 5-7 months to complete. After home study completion, typically it is only 2-3 months until Dossier completion! Every day an orphan has to wait is one day too many. While adoptive parents would move mountains to get to their child as fast as they can, there are many factors that are out of their hands. Each adoptive home study is a very personal process, catered to your specific family. Because of this, it is difficult to predict how long your specific home study will take. Perhaps additional clearances are needed, or perhaps your social worker needs to consult with your doctor – whatever your personal adoption home study process looks like, there could be delays that come up along the way. Starting your home study today means that it will be complete one day sooner than if you started tomorrow, and that means your child waits one less day! Adoption can be expensive. Prospective Adoptive Parents must financially plan for their adoption. That being said, there are many grants available for adoptive families! However, many of these grants require a completed adoption home study before the organization will consider your family as a grant recipient. Once your home study is complete, it could open the door to additional financial resources for your family. Make a difference. Change a child’s world and make yours better! Start your adoption home study today! Live in Pennsylvania, Delaware, New Jersey, or Illinois? We can help you with your home study!! Madison Adoption Associates is a Hague Accredited adoption agency licensed in PA, DE, NJ, and IL, and we are experts in both domestic and international adoption home studies. From one of these states, and interested in our international adoption programs as well? We are currently offering expedited home studies at no cost for PAPs contracting for both home study and placement services. Please note that our expedite service is in regards to the writing of the home study document itself. The interviews, education, and investigation components of the process are NOT rushed. Our expedite service relates to the writing of the document once all paperwork is gathered, and all education and interviews are complete. Contact us for more information at contact@madisonadoption.org!